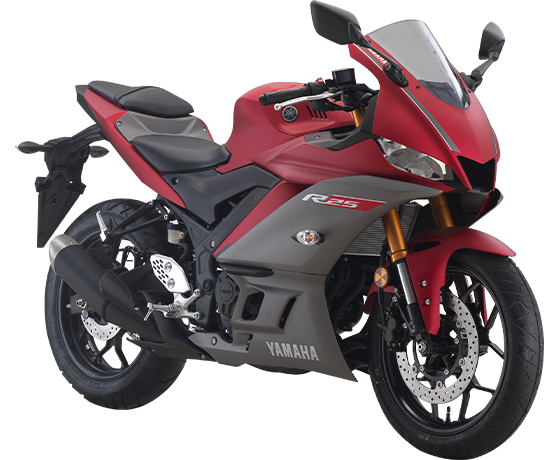 Enter the new YZF-R25. 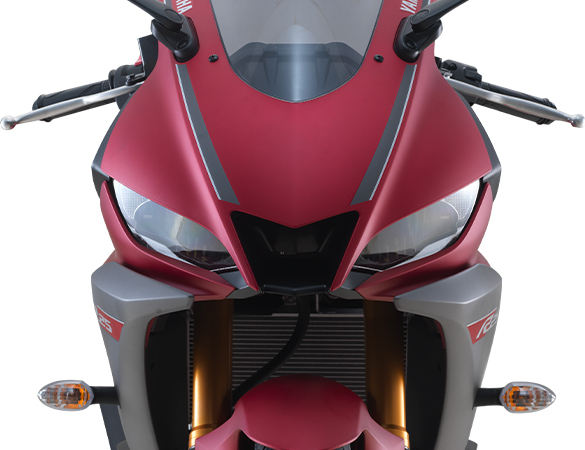 This lightweight super sport gets a whole new MotoGP®-inspired look that makes it the most radical 250cc machine on the street. 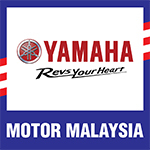 Its sleek new bodywork echoes the Yamaha’s YZR-M1 MotoGP® machine – and the aggressive new dual LED headlights underline its pure R-series DNA. Time for you now to answer the call, and enter the R-World. 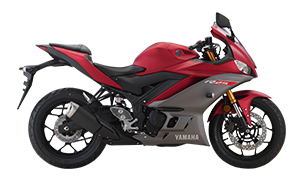 With a glaring new look and face, a new front fairing and screen inspired by the iconic YZF-R1, the R25 has a central air duct working with the cross-layered panels to maximize cooling airflow for the engine, making this the most outstanding compact super sport in its class. 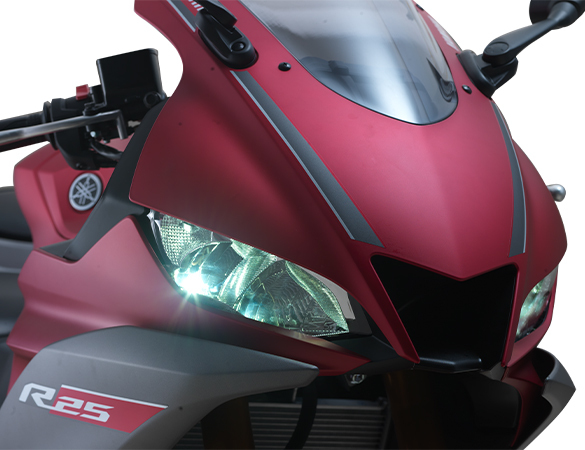 The new front fairing now carries a YZF-R1 style set of headlights that underline the R25’s strong genetic looks with the larger R-series. 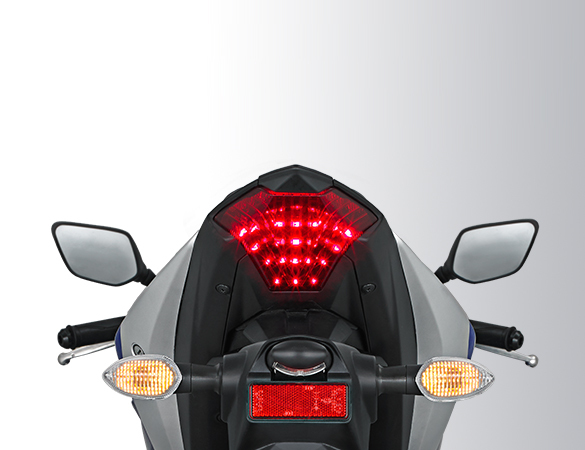 With bright and long lasting LED technology, it enhances both visibility and illumination with minimal power draw, yet giving the bike a radical new look. 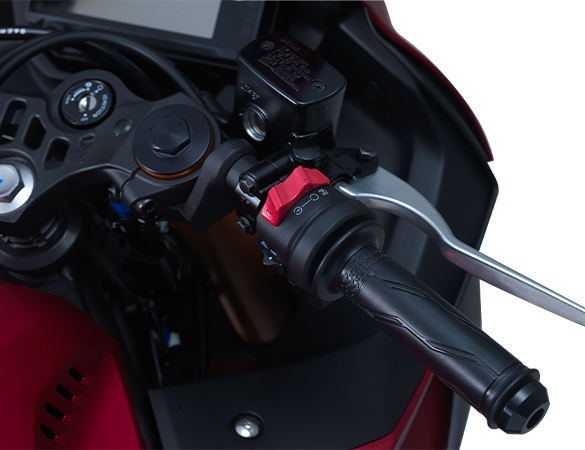 Featuring an ala Big Bike switch, with the starter button and a 3 in 1 cut off/on on board. 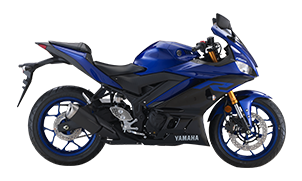 The YZF-R25’s new bodywork and ergonomics is a sleeker, now on more aerodynamics and refined. 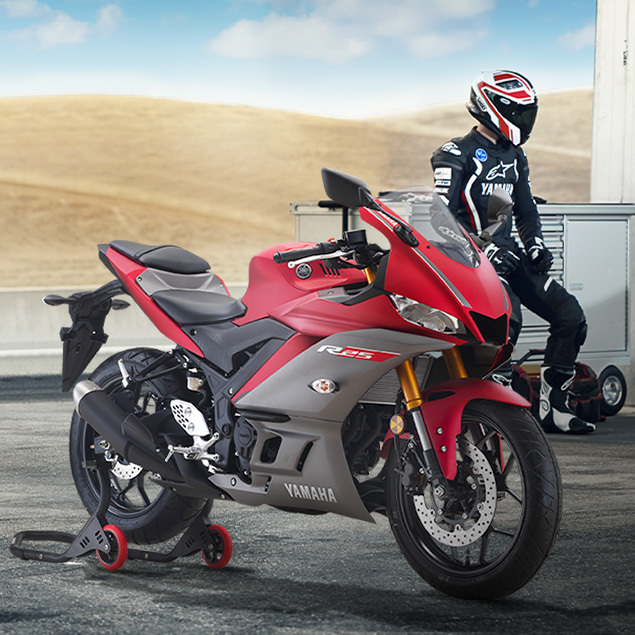 Inspired by the MotoGP’s YZR-M1, this compact bike sports rac-bred look and ready to attack on the road and track. 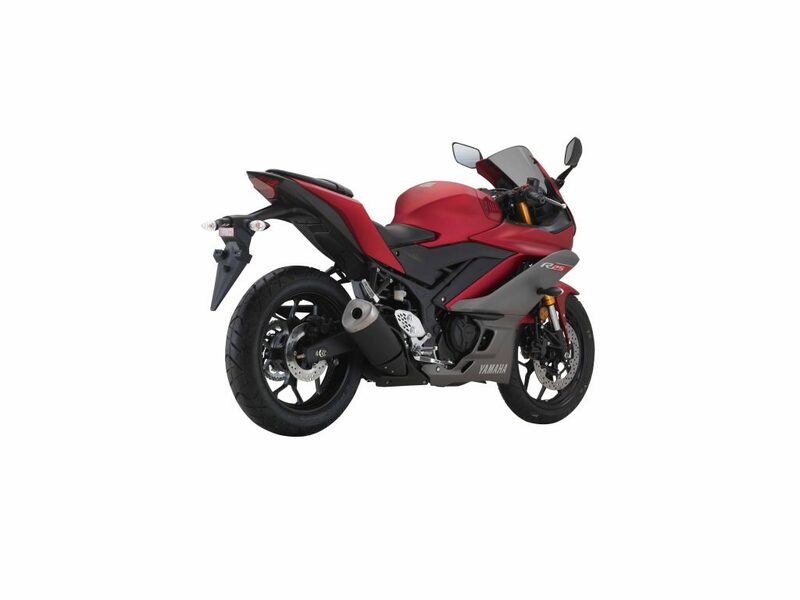 The YZF-R25 features an updated multi-function and compact LCD instrument that furnishes the rider of the gear positions, fuel capacity, real time and average fuel economy, water temperature, clock and an oil change trip meter. 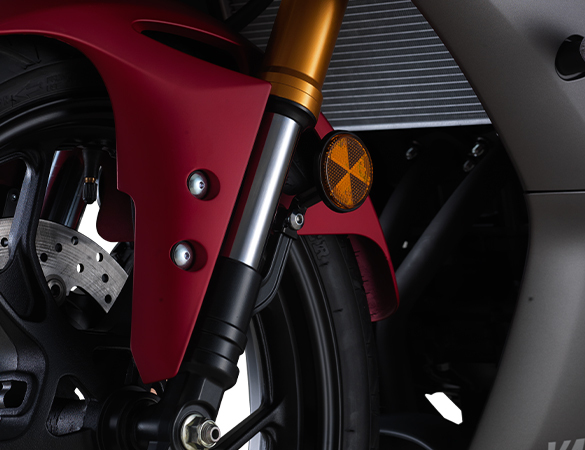 With optimised spring and damping settings, improving fork rigidity for a sporty front-end feel without losing the real-world comfort when riding. 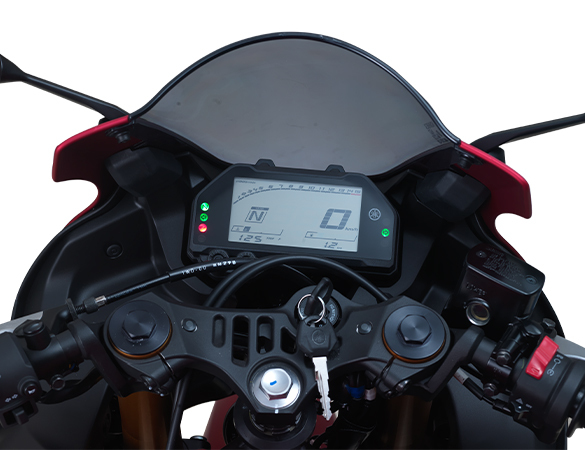 </p> <p style='text-align: justify;'><em><strong>3 in 1 Main Switch Design Inspired By Big Bikes</strong></em></p> <p> </p> <p>Featuring an ala Big Bike switch, with the Starter button and a 3 in 1 cut off/on on board.